This weekend, I decided to do something way out of the norm for me like turquoise blue. 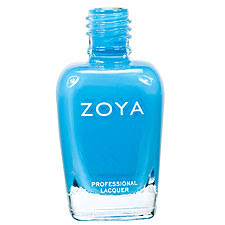 I was gifted with Robyn (turquoise blue) from zoya, so I thought why not try it this week? I don't have steady hands so I went to the nail shop to get it done. I love this perfect turquoise cream color. It's a cool breezy look that will give any outfit that extra pop of color. THAT NAIL COLOR IS POPPING MOMMIE! 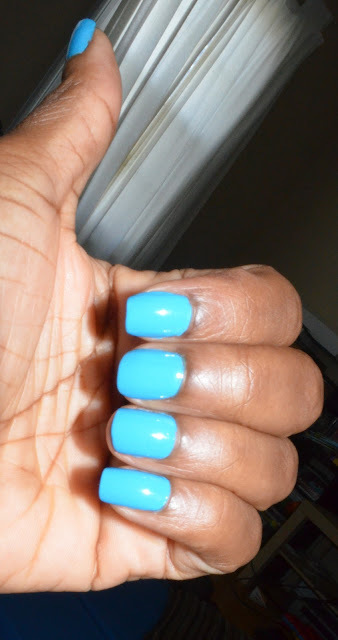 SO WHAT COOL BREEZY BLUE NAIL POLISH WILL YOU TRY THIS SUMMER?